CYBER_MIRAGE | gURROO - A new generation of innovative minds. The complex systems of corruption that we’ve watched on the last days in Brazil with a probability of a second president suffering an Impeachment including an enormous amount of scandals that include more than 1600 Brazilian politicians, have put the nation in rebellion. But with the arouse of social media, Brazil is getting closer even further to a justice system based on majority. Online petitions, protests starting on the web, are bringing a great amount of politicians and there unpopular decisions to an end. This complex cybernetic framework lead us to believe that society is walking for a more critical and technocratic perspective. The impact of these technological systems aren’t not only present nowadays influencing politics but also in the human social interrelations and business. At the same time that society turns more strict and rigid, the human is been constantly dominated by technology and it will eventually transform on a cyborg. Our project is based on the question: If virtually we have so little boundaries restricting us, than why on the physical reality we insist to maintain them? 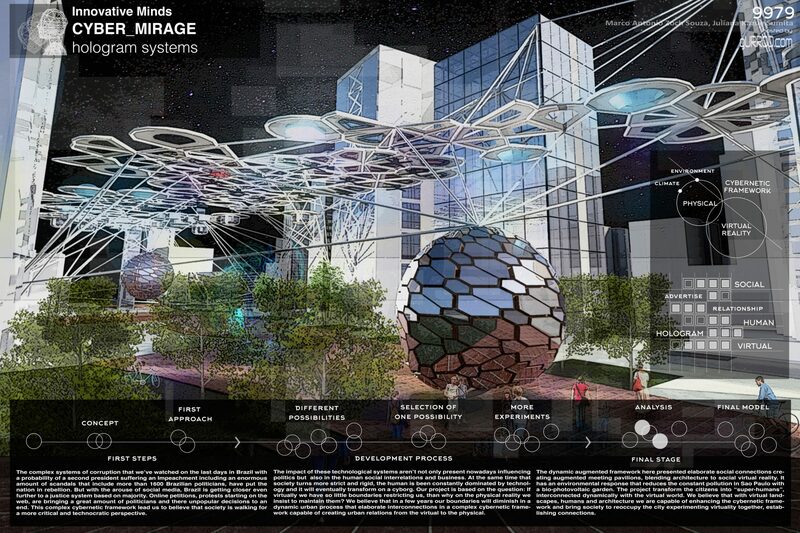 We believe that in a few years our boundaries will diminish in a dynamic urban process that elaborate interconnections in a complex cybernetic framework capable of creating urban relations from the virtual to the physical. 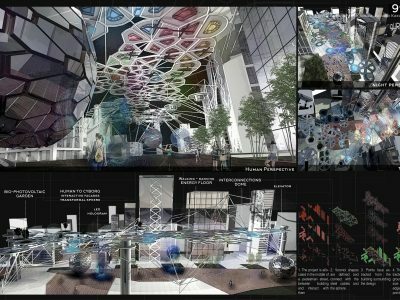 The dynamic augmented framework here presented elaborate social connections creating augmented meeting pavilions, blending architecture to social virtual reality. 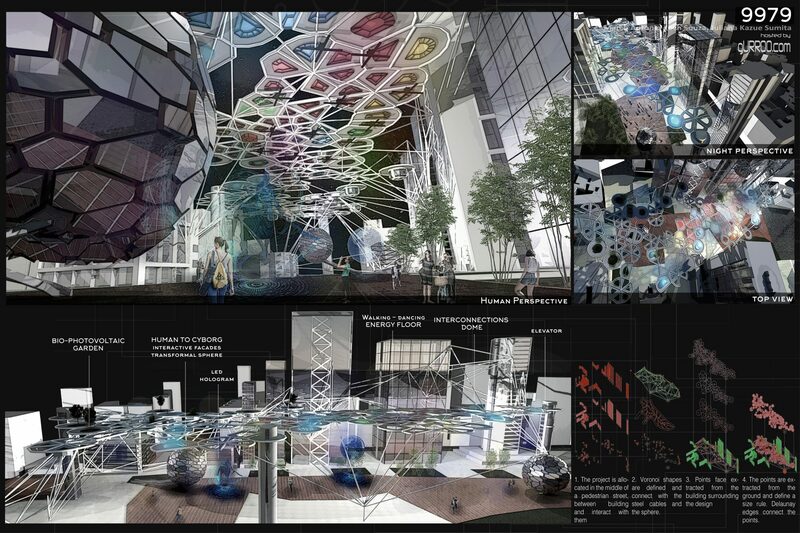 It has an environmental response that reduces the constant pollution in Sao Paulo with a bio-photovoltaic garden. The project transform the citizens into “super-humans”, interconnected dynamically with the virtual world. 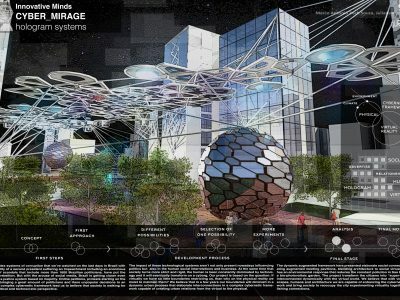 We believe that with virtual landscapes, humans and architecture we are capable of enhancing the cybernetic framework and bring society to reoccupy the city experimenting virtuality together, establishing connections.